Last edited by dalcde on Wed Mar 27, 2013 11:43 pm UTC, edited 4 times in total. Lucia wrote: By uploading the flags pic by copying from a tab opened when it was available, I managed to provide time travel into the past and the future at the same time. riverssong wrote: So at the current rate of expansion, how long a nap can I take before we catch up to the flag frame? I wonder if Randall is reading this thread? He might not even show the flags? Do you think this could be an alternate future we just glimpsed? The flags are/were real; we saw a later frame and/or a frame from an 'alternate future'. There's still the possibilty that the frame was never really served, everybody claiming to see it is in on a prank, and the images are photoshops, but that's kinda like the trusting trust problem. What's weird is that somehow this comic is another one of those "get out of my head" comics. The past few days I've been using my computer to render a zoom animation on a 3d fractal. Same deal; wait 30 minutes, see a very small change, rinse, repeat. patzer wrote: I wonder if Randall is reading this thread? He might not even show the flags? Do you think this could be an alternate future we just glimpsed? I'm sure he's monitoring this in some way shape or form, or at least, he's got a moderator telling him what's going on. He might not show the flags, we will know. Eventually. We might each get a different ending depending on our IP addresses... Then the Singularity would have to begin. Helper wrote: There's still the possibilty that the frame was never really served, everybody claiming to see it is in on a prank, and the images are photoshops, but that's kinda like the trusting trust problem. inhalvast wrote: We might each get a different ending depending on our IP addresses... Then the Singularity would have to begin. Completely unrelated to this thread/comic, but somebody needs to write an algorithmic comic generator and setup a website that seeds the generator with the visitor's IP, serving the psuedo-randomly generated comic to the visitor. I can vouch for the one with the flags. I saw it before Randall spotted the time error. I have a feeling it is coming. I saved it before it ninja'ed out of existence. I happened to see the flag while working on my super-resolution average, and extrapolating from the current rate of zooming (which has been constant for the last 3 hours, from 64:30 to the present 67:30), that frame will happen at 75:30 (in 8 hours). Last edited by Deadcode on Wed Mar 27, 2013 11:59 pm UTC, edited 1 time in total. Lucia wrote: The new castle (with flags) is what shows up for me right now. It's not accidental. Now that we have a "future hash", is there any way to crack the code? Deadcode wrote: I happened to see the flag while working on my super-resolution average, and extrapolating from the current rate of zooming (which appears to be constant), that frame will happen at 75:30 (in 8 hours). My hope is that the 'slip' was intentional and to 'make up for it', we're going to see an alternate version of the future. Wasn't there chatter about the pan and/or zoom being exponential? Oh me yarm WTF BBQ! Edit: Only "Oh-Ehm-Gee" is being filtered out? Boring! Last edited by morgothcr on Thu Mar 28, 2013 12:04 am UTC, edited 2 times in total. ERMAHGERD DERE'S A THING OVER DERE!!!! Last edited by TheMulattoMaker on Thu Mar 28, 2013 12:01 am UTC, edited 1 time in total. Last edited by arjan on Thu Mar 28, 2013 12:02 am UTC, edited 1 time in total. There's a blip of flag/other castle now! Edit: OK, I see how all the "ninja'd" posts happen even though the forum forces you to look at stuff that was posted while you were writing: it pretends to show you everything that you missed, but it lies, it only shows you *some* of it. Last edited by Reka on Thu Mar 28, 2013 12:04 am UTC, edited 1 time in total. That's what I suspect would happen if anybody cracks the hash and tries to see the future. Personally I'm taking this as an opportunity to relax and watch a beach without obsessing over it. I'm not doing a good job though, since I dreamed about it last night and woke up thinking in terms of half hour time increments. Not when it's used on me. I WONDER WHAT THAT WEIRD THING ON THE RIGHT SIDE IS. There goes the alternate future theory ;_;. Even if there is a code (and these "hashes" aren't just from a one-time pad) it would do us no good. The flag png link now gives a 404 - Not Found. Oh, excellent. Looks like the future is going to arrive much sooner than we anticipated. And it is now apparent (deliberately?) that there is no way to skip ahead as the images are not uploaded until their appointed time. Maybe it's a pot plant? It looks like a pot and a leaf to me! Last edited by Lucia on Thu Mar 28, 2013 12:06 am UTC, edited 1 time in total. The flag has returned to us! We are saved! Deadcode wrote: The flag png link now gives a 404 - Not Found. Which confirms something interesting: the operation is definitely being watched by somebody in real-time. Or the server has become self-aware, we seems reasonably likely at this point. 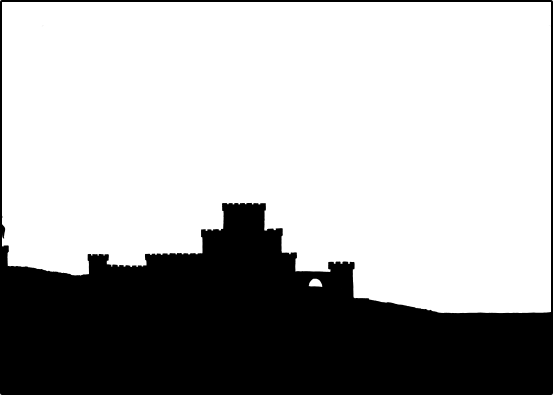 If we hadn't seen the flag castle already, it would be really fun speculating about what might be there and watching everybody else speculate. Too bad we already know. Maybe the picture was there on purpose to show how much more interesting this will be if we're patient than if we were just given the whole thing? I think half the fun is seeing everybody's ideas about it. A flag? Nah, it would be more rectangular. Looks like a leaf to me. Did Megan go to get a pot plant? 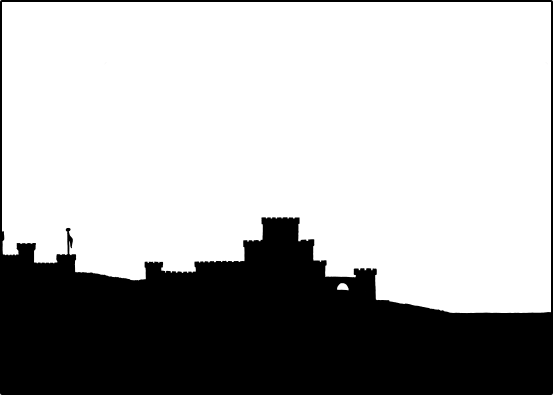 NoEdge wrote: If we hadn't seen the flag castle already, it would be really fun speculating about what might be there and watching everybody else speculate. Too bad we already know. That's what I was wondering. Or at least a ploy to keep our attention. This is clearly a piece of pipe with piranha plant in it. I keep the original comic page open in a window in the corner of my screen at all times for just such an incident, and then I'm absent for the brief period when it would have actually paid off. Consarn it! There's no reason it couldn't have always been set up not to give out images early, just in case. My first thought was that we were being messed with.